good indicator of the food culture in any location is the quality available at the everyday, less famous restaurants. The ones that, for whatever reason, didn’t make it into the guidebooks and aren’t necessarily singled out by review sites and apps. If these places still serve up a good meal you can be confident you’re in among a strong food culture. And so it is with the Matas Snack Bar, a small terrace in the corner of a small square in Graça. The kind of place you would stop for an afternoon beer to break from walking the city’s seven hills and watch the world go by. 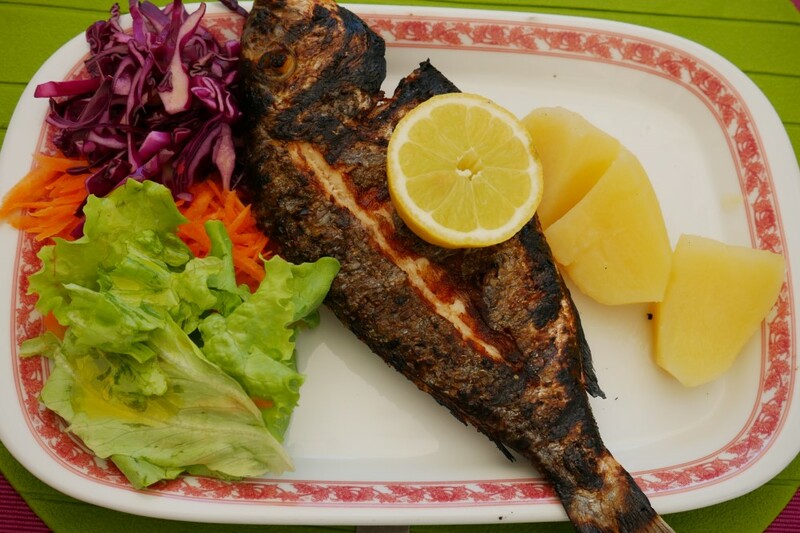 But they also offer a selection of simple lunch plates including a range of tempting grilled fish and other seafood. I decided to go for an octopus salad and grilled robalo. It’s easy to pull apart and discard the bones just by gesturing a fork in the general direction. 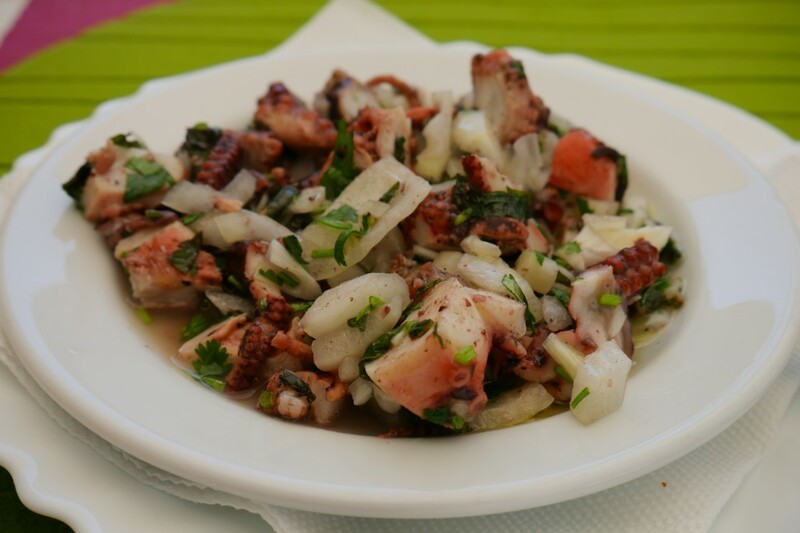 The starter was everything you hope for in a seafood salad – the octopus clearly fresh, a simple accompaniment of onion and coriander and a ceviche-style citrus kick to the dressing. Then came the main course, a whole grilled robalo, with instagram-worthy grate marks and the standard side of boiled potato and salad. Some worry about the bones when eating a whole fish, but when it’s this tender it’s easy to pull apart and discard the bones almost just by gesturing a fork in the general direction. As always, the charcoal heat does something magical to the fish skin that other cooking methods just can’t achieve. The moral of the story is you don’t have to live by the guidebook, just look around, follow your nose and know the word for “grilled” in the local language.